Swiss International is part of the Lufthansa AG consortium of European based airlines. With its main hub out of Zurich and a smaller hub in Geneva, Swiss serves over 100 destinations, including 7 in North America. All Lufthansa AG airlines are Star Alliance members. 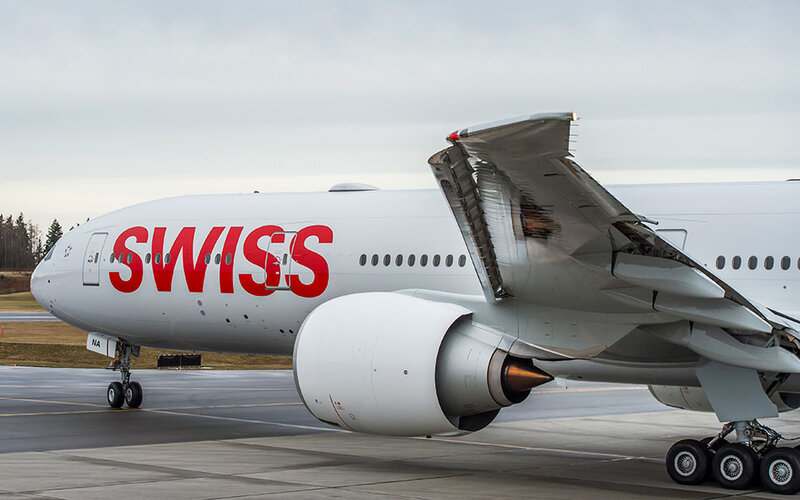 In January 2016 Swiss International took delivery of its first Boeing 777-300ER. While many carriers fly this aircraft, much fanfare was raised about the Swiss product which is shown below. Swiss is another airline that has chosen to upgrade international travel and their 777 is part of this enhancement. 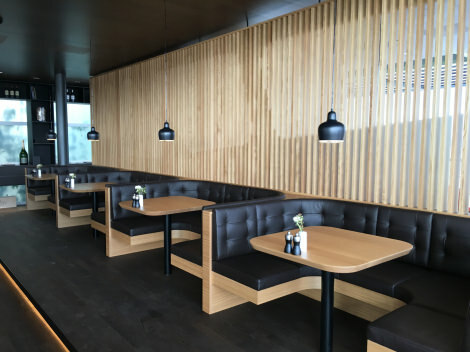 In addition to receiving the new aircraft, Swiss opened a new first class and business class lounge in their Zurich hub. Each lounge has chefs preparing meals for passengers while the first class lounge is said to have a 5-star restaurant. Swiss has planned 777-300ER service to North America in late 2016. In 2 minutes watch a Swiss 777 get built. 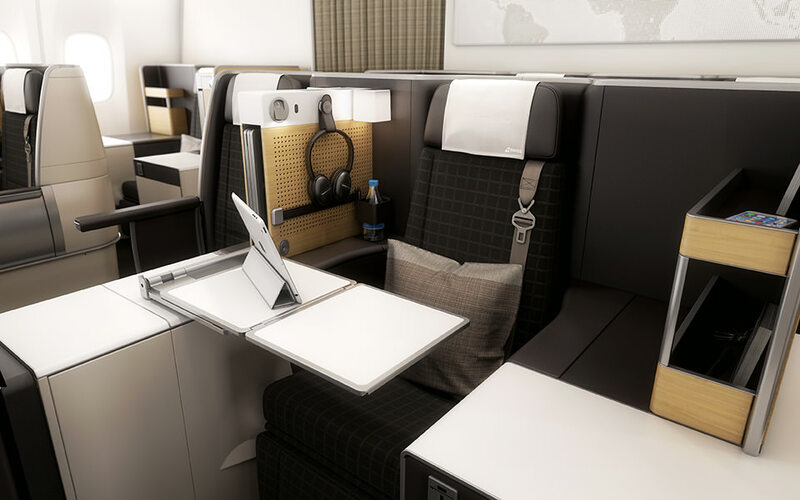 Since Swiss is part of the Lufthansa Group, it's no surprise they have a superior first class experience. 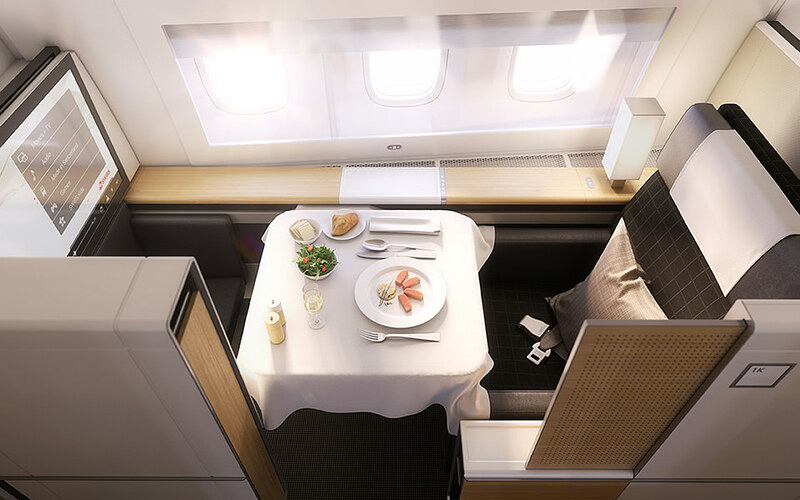 The problem for Reward Flyers is that Swiss first class is reserved for Miles and More members, Lufthansa's AG's reward program. Beyond that you have to be an elite member of the program and pay a hefty fuel surcharge. 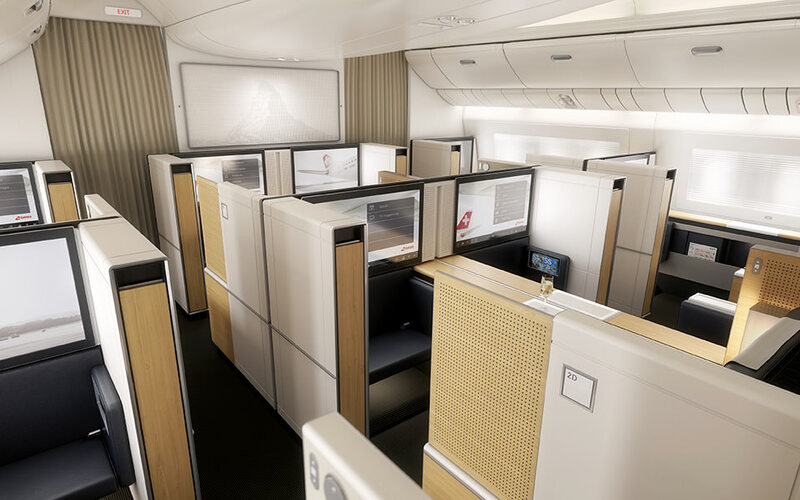 The good news is, Swiss business class outshines many other carriers first class offerings and reward space is released in business without fuel surcharges on many Star Alliance reward programs. 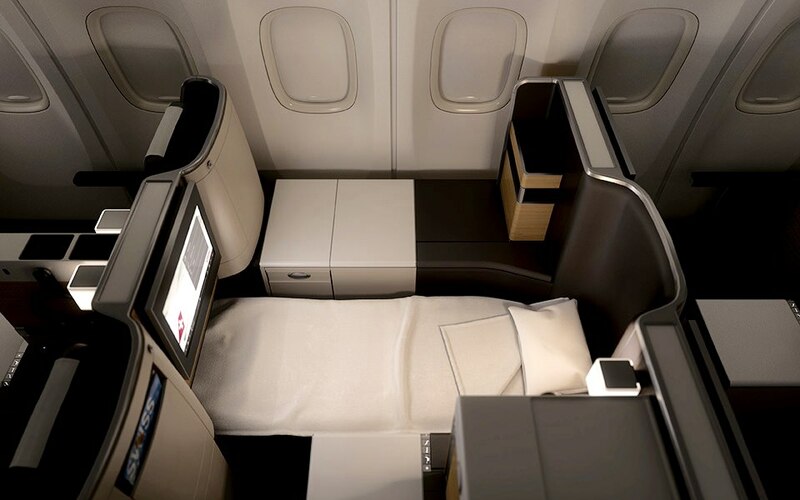 This is the new cabin on their Boeing 777. Very similar to the interior on their Airbus long range aircraft, it has been designed by a London based firm named Priestmangoode. This very attractive cabin features a unique layout of 1x2x2 followed by a row of 2x2x1, which opens up direct aisle access for solo travelers while offering dual seats by the window for couples. The single window seat is known as the "throne". Austrian, among others, have this single seat that provides table space on either side of the seat. The seats are the Thompson Vantage used by American, Air Canada, Austrian among numerous other carriers. Each is 20.5 inches wide with a 60 inch pitch and 79 inches bed length. A 16 inch monitor provides your entertainment. Notice the hook provided for your noise cancelling headphones. The cabin is large with 62 business class seats. It also has a mini-cabin with 2 rows behind first class. While 4A and 5K look like great seats, they reserve these seats for their elite members. However the dual seats in the mini-cabin can be pre-assigned. The only negative to this aircraft from our perspective is the decision to go 10 wide in the back, which makes this a high density aircraft for economy travelers. They do have a "preferred zone" but it's still 10 wide. The majority of Swiss long haul aircraft are Airbus A330 and A340s, with the 777 to serve as a replacement for the later over time. The A330 has 45 business class seats in a similar arrangement as the 777 except there are more "throne" seats as some rows are 1x2x1. The A340 is similarly configured with 47 seats. Like the 777 the older seats are 20.5 inches wide and have 60 inches pitch. The fully lie flat seat extends to almost 79 inches and has an integrated massage function. 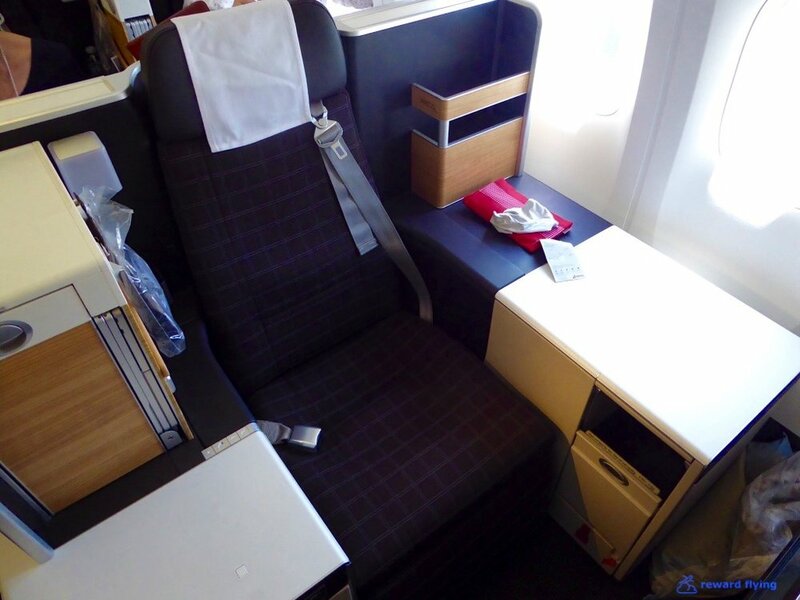 Take a virtual tour of the A330 and the business class seat. Swiss Taste of Switzerland is served on all flights departing from Switzerland. Top local chefs offer a seasonal variety of dishes prepared with fresh regional ingredients. The menu changes every few weeks as well. For flights from East Asia, Swiss has partnered with the head chef of Hong Kong's Peninsula Hotel, a five-star hotel to provide a contrasting culinary experience. Once booked on a flight, Swiss offers what they call a "special surprise". You can order something extra and have it delivered in-flight to yourself or to someone else. The treat comes with a personal card as well. You can order using their website or their mobile app. Take a view from the cockpit on this Swiss flight on a foggy day. 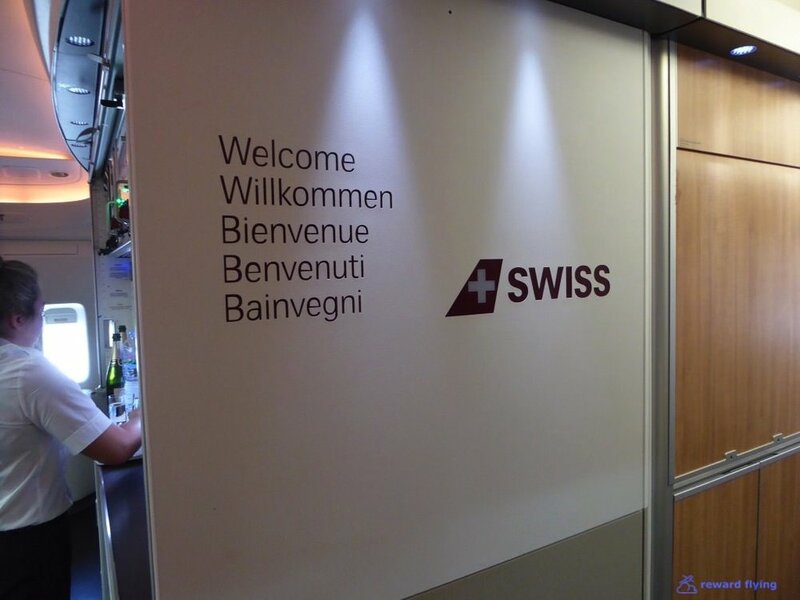 Have you flown on Swiss? Share your experience with others in the comments section.